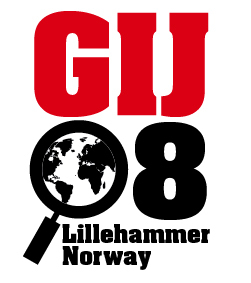 Check out our new web site for the Global Investigative Journalism Conference 2008 at Lillehammer. You can find the site here! The conference takes place in Lillehammer, Norway, from September 10th to 14th. Please spread the word about Global Investigative Journalism Conference 2008 at Radisson SAS Hotel, Lillehammer, Norway September 11-14. Click on one or several of our banners to download them, and put them on your site with a link to us! Investigative journalists from Russia (and the former U.S.S.R), Eastern Europe, The Balkans, Caucasus, Middle East, Asia, Africa and Latin America are now welcome to apply for grants that will cover their travel and stay at the Global Investigative Journalism Conference 2008 at Lillehammer, Norway. We especially invite journalists who are willing to show and share their experiences and work, through presentations at the conference. If you are able to demonstrate how you worked with your life’s best investigative story, you might pick up free tickets and stay at the conference in the olympic city of Lillehammer, Norway. Our goal is to gather some of the world’s best examples of investigative journalism in recent years. Between 400 and 500 investigative reporters are expected to participate at the conference. GIJ2008 is also going to be a unique place to do networking to get your own global contact net. We intend to facilitate trans-national investigative journalism cooperation on the topics you cover. Funding from SKUP (The Norwegian foundation for investigative journalism), Norway’s Foreign Ministry and cooperating investigative journalism organizations will help us make the Lillehammer event a true Global conference. Please send your applications to gijc2008@gmail.com. Please supply the application with your CV, a short summary of your work in the field of investigative journalism and personal references. It will also help us if you can get references from organizations working with investigative journalism. The final deadline for applications is 25th March 2008. No entries after this date will be accepted. Applications will be evaluated as they come in. You will be hearing from us regarding your application! The ICIJ Award for Outstanding International Investigative Reporting has been changed to a biannual event, and the next winners will be announced at the fifth Global Investigative Journalism Conference at Lillehammer, Norway, September 11-14. Applicants who applied for the 2006 award will not need to reapply. 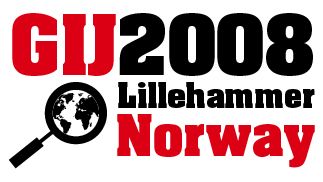 Applicants who submitted their application for 2006 will be included with 2007 entries and the winners will be announced next autum in Lillehammer, Norway, according to Center for Public Integrity in Washington. The two $10,000 first-place prizes and up to five $1,000 finalist awards recognize, reward, and foster excellence in cross-borders investigative journalism. 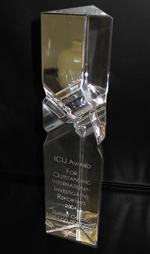 Past ICIJ award winners have reported about abuses faced by immigrants in American workplaces; the involvement of Sweden in the CIA secret renditions program; and allegations of sexual exploitation of Congolese women, girls and boys by United Nations peacekeepers, among other issues of world importance. Brian Ross of ABC News 20/20, Jeffrey Goldberg of The New Yorker, and Steve Bradshaw and Mike Robinson of BBC News Panorama have received the award in recent years. More info on the prize here. 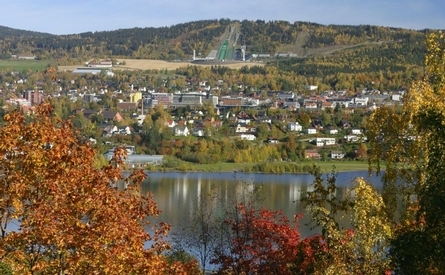 The Lillehammer 1994 Olympic Winter Games made this beautiful Norwegian city an everlasting international classic. Please spread the world about Global Investigative Journalism Conference 2008 at Radisson SAS Hotel, Lillehammer, Norway September 11-14. Click on one or several of our banners to download them, and put them on your site with a link to us! We in SKUP, the Norwegian Foundation for Investigative Journalism, are excited to invite you to Norway next year for the fifth Global Investigative Journalism Conference. 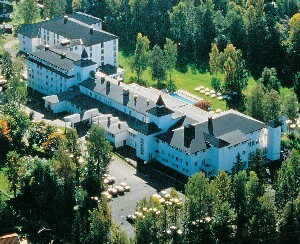 The conference is held at Radisson SAS Hotel Lillehammer 11-14 September 2008. Info about SKUP in English. Between 24th and 27th May this year the fourth conference took place in Toronto, Canada. Although this network is not as large as the Olympics (yet), this global group of investigative journalists have come a long way since Brant Houston and Nils Mulvad, respectively of Investigative Reporters & Editors and the Danish Institute of Computer Assisted Reporting, recognized the potential of such a network in the spring of 2000. A year later the first conference was held in Copenhagen. The rest, as they say, is history. SKUP was present at the Toronto conference, to see and learn from the Canadian experience. During four conferences so far we have met, discussed and shared ideas, ethics, methods and other issues concerning our profession. Today the network numbers more than 40 journalism organizations and associations across the globe. For each conference we have taken new steps forward. 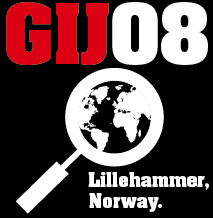 Each spring SKUP organizes the investigative journalism conference in Norway with more than 600 journalists, and we are excited to host GIJ-2008. 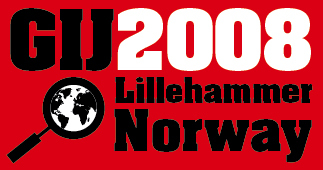 We have an excited group of local journalists in Lillehammer eager to help, and we are also involving our sister organizations in Denmark, Finland, and Sweden in the planning of GIJ-2008. The activity and communication within the global network has increased for each year. We hope to benefit from this great gathering in Toronto, and we are already inspired to continue the Global Shining Light award initiated by the Toronto organizers. These conferences and such an award is a wonderful reminder that although investigative journalists often work alone and under difficult and dangerous conditions, we are not alone. Welcome to Norway in September 2008! Conference web page (still working on separate web site).